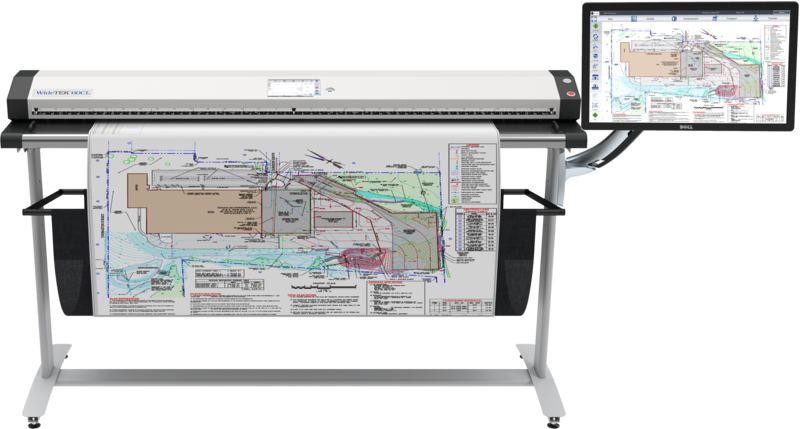 ScanWide specializes in archival quality Wide Format and Large Document Scanners for every need. We carry a full line of Planetary Book Scanners for Standard and Oversize Materials and Overhead Scanners that exceed resolution and image quality of camera based systems costing far more. Our markets include Government, Military, Education, Museum and Library Archiving, Mapping, Facilities Management, and Architectural Engineering and Construction. NEW 60 INCH SCANNER ON PROMO! The WideTEK 60CL processes documents up to 61.85 inches wide with a maximum scanning width of 60 inches, producing extraordinarily sharp images, with color accuracy even superior to competing CCD scanners. Document rotation is done on the fly, a scan of an E-sized / A0 document in landscape at 300 dpi in 24bit color takes less than 7 seconds to scan and another 2 seconds to crop, deskew, preview and store.